Our Latest Newsletter is Now Available Online! To read this newsletter, you can click here or on the image to the right. 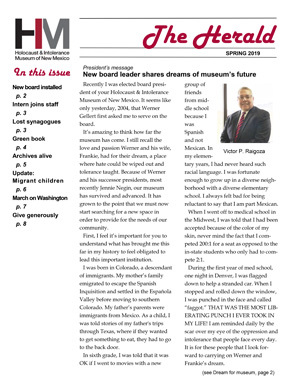 We hope you enjoy this newsletter and thank you for your support of the Holocaust & Intolerance Museum of New Mexico.